Holy wow! iTunes went down! Interesting find about the iTunes algorithm – wanna try it? A bit of an iTunes review exchange rant. And a bit of a proper Twitter etiquette rant. Rob has his possible perfect podcasting solution. Happy Anniversary Keith and The Girl! And awesome feature on the Village Voice. Some examples of podcasters using Blogger. January podcasting stats! Mean and median updated for your obsessive pleasure. Where have Elsie and Rob been and where we will be. iTunes went down! The ducttape and paper clips finally gave way. 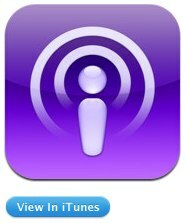 Holy bjeezus Apple just released it’s own new standalone app for Podcasts.